There are deposits of rock salt in many places of the world, huge underground deposits that are true mines of crystallized salt. Geologists believe that millions of years ago the dry land around Naval was covered in sea water or salty lake water. As the water evaporated it deposited its salt in the form of huge salt beds, which, in many cases, were buried and covered by other sedimentary materials. Over time, underground rivers flowed over these rich veins of salt, dissolving them and bringing them to the surface in the form of salt water springs.The basic salt production method in the salt flats has remained unchanged over centuries. In Naval, a place where the industrial revolution never quite reached, there are currently men and women who still use the same traditional method for collecting salt as was used hundreds of years ago. 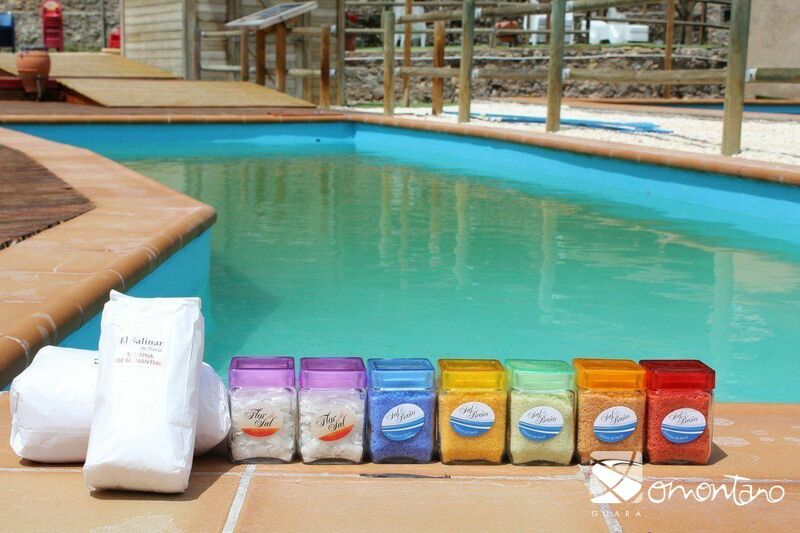 Their skill in playing with the four elements of water, wind, sun and time determines the quality of their salt. 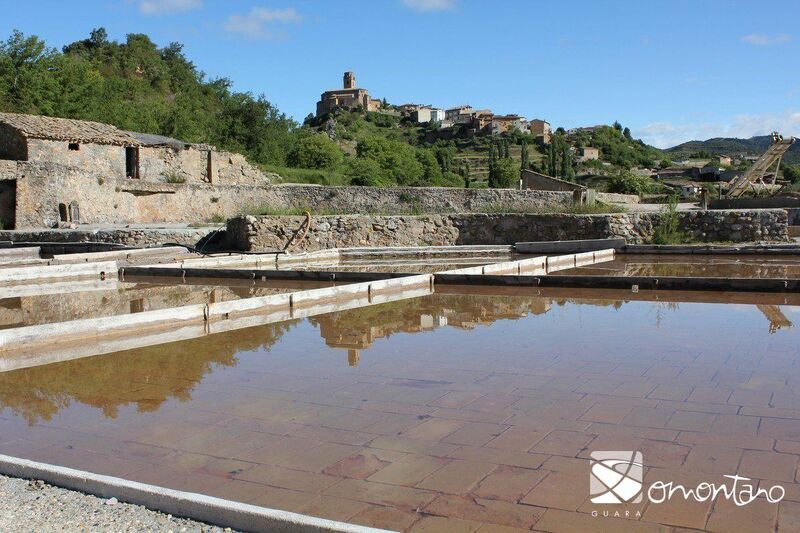 The traditional production process started by channelling salty water from the spring to huge pools. 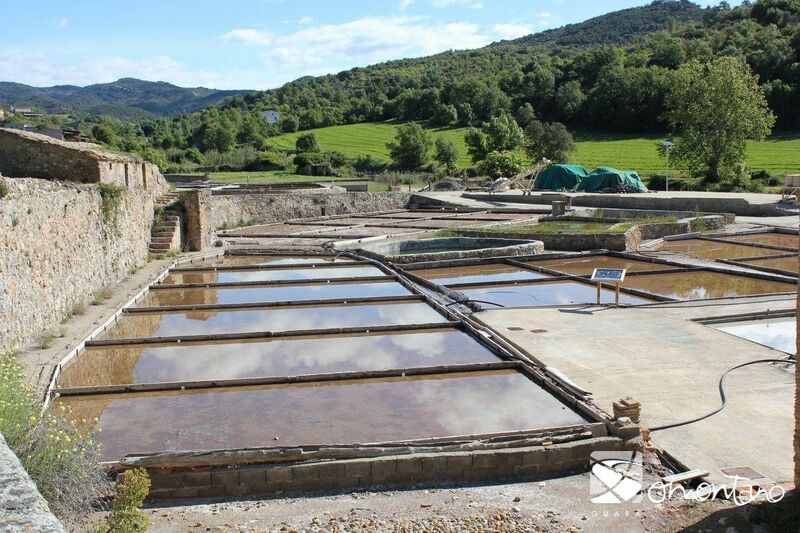 These pools served two purposes; they allowed regular distribution of water to the flats or basins and also resulted in a high and uniform concentration of salt, which favoured the crystallization process. From here the water would travel along wooden channels to be shared among shallow reservoirs or basins, from where it would evaporate with the sun and the wind. Gradually the concentration of salt would increase until it precipitated. As soon as it began to crystallize, a crust would form on the surface of the basin; this was known as the flower. Once all the water had disappeared the salt would be collected from the bottom of the flats using wooden rakes and piled into small white mountains at the side of the basin. Here, it would dry further before being put into storage in small houses. For the process to work well it needed high temperatures and low precipitation, so the production period started in the spring and lasted through until the end of August. 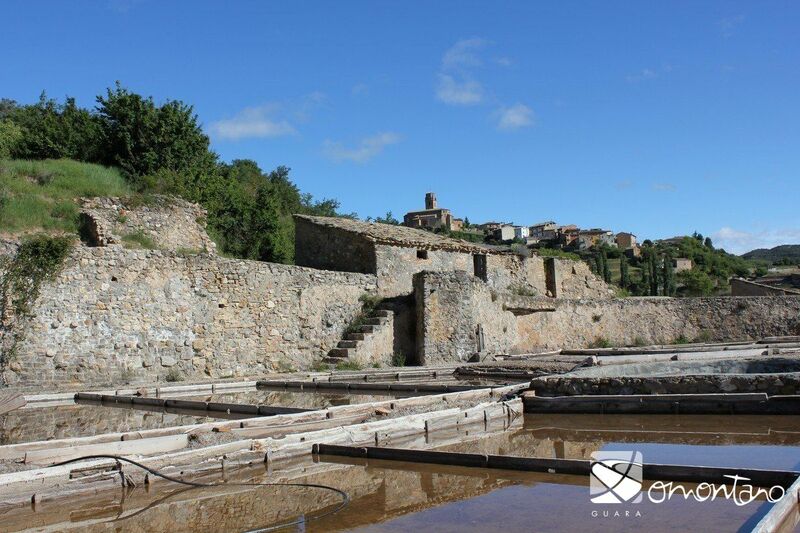 During the winter, work consisted of grinding and packing the salt and also repairing the facilities and equipment.Due to the presence of salt in the water, the wooden channels never rotted or decayed despite being constantly wet. The concentration of salt obtained in Naval is 24 grams of salt to 100 grams of solution, which demonstrates the quality of the spring. The concentration levels obtained in other salt flats in Spain were between 18 to 26 grams per 100 grams of solution. This amount of salt in the water meant that not only was the water undrinkable for humans and animals, but would actually result in death of drank. The existence of salty springs in this area explains the location of a settlement near Naval that dates back to the Bronze Age. 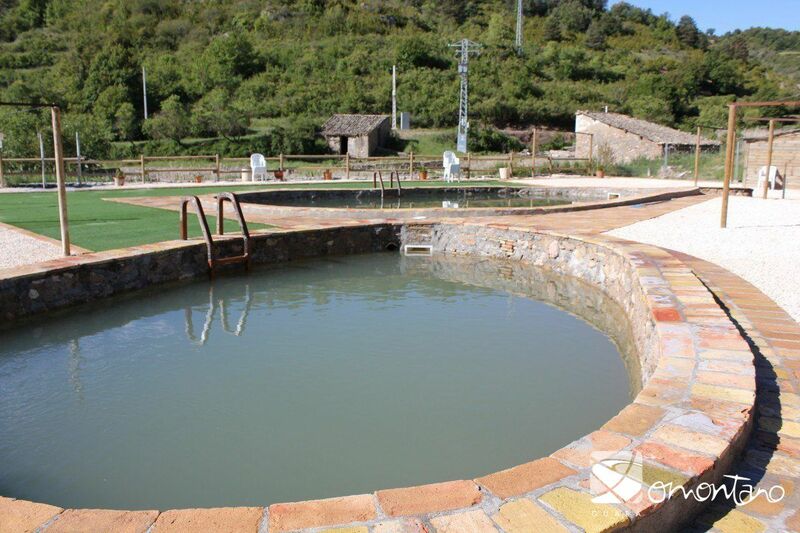 There is no doubt that the spring was used to extract salt in that era and also throughout the Moorish occupation. Salt was one of the fundamental elements of medieval commerce in the area, which, alongside the pottery, gave work and wealth to the local people whose land was unsuitable for cultivation. During the Middle Ages, the kings saw a sure way to finance their military campaigns and other monarchical expenses with gains from the salt industry. Their interest to control its sale resulted in the Crown progressively incorporating the salt flats, pools, basins and springs as their own property. 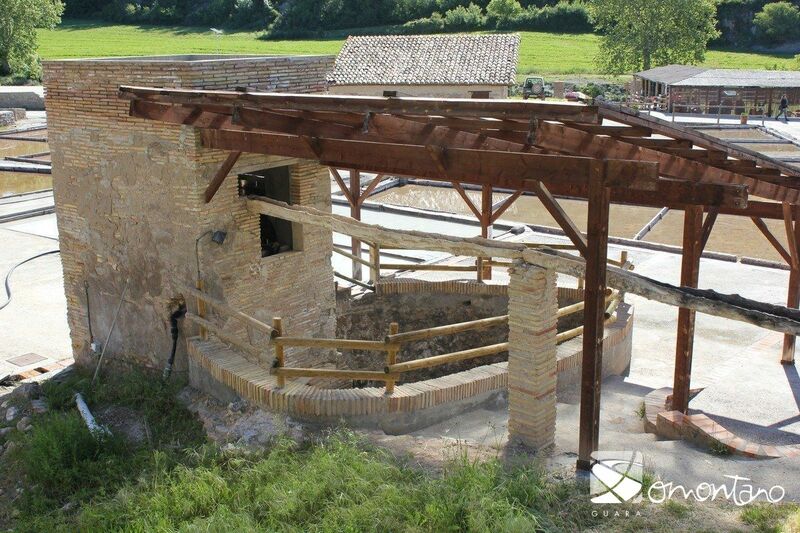 In summer, the salt was stored in small houses at the side of the flats; in the winter it was transported to a special salt warehouse, which was an exceptional building. Its humble exterior hid a huge internal space with robust columns that opened up into two naves. 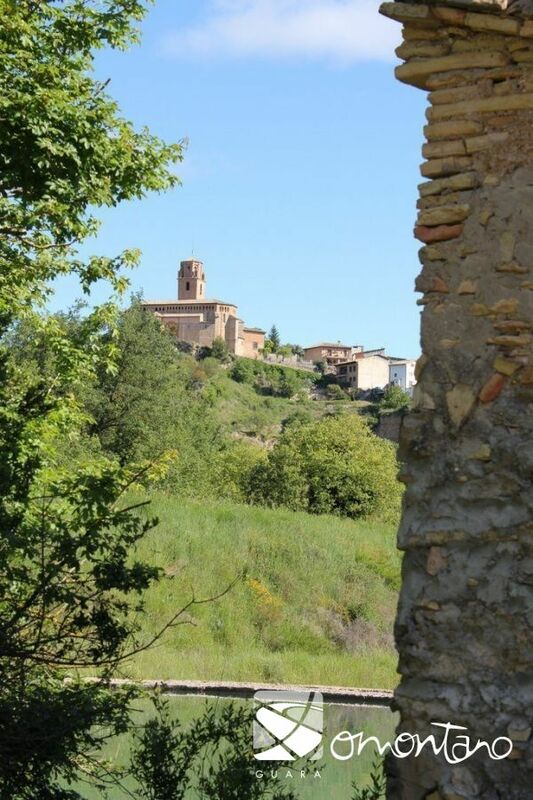 Its construction dates back to the 13th century (1274) soon after King Jaime I had awarded the monopoly of the sale of salt across a huge swathe of Aragon back to Naval. To avoid corruption by administrators and to achieve total control over the sale of salt, Felipe IV created the Estanco de la Sal (a salt monopoly) in the 17th century. Sale was controlled in a similar way to other products such as tobacco. This lasted until 1870, at which point tremendous public pressure forced the government to liberate the production and sale of salt.